The Lloyds chairman will retire in the next year, before the government begins selling its 39% stake in the bank. Sir Win Bischoff has been chairman of Lloyds Bank since 2009, joining at a painful time for the bank following the huge government bailout. 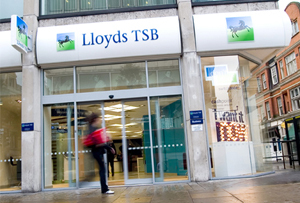 More than £20bn of taxpayers’ money had to be given to Lloyds in 2008 just weeks after the ill-fated merger with HBOS, a high-street lender whose ‘reckless’ lending policies had resulted in losses of £46bn by the start of the credit crunch in 2008. Lloyds’ chairman at the time, Sir Victor Blank, quit soon after the so-called ‘HBOS disaster’, and Bischoff was brought in to oversee the bank’s recovery in September 2009. Since then, the 72-year-old has overseen a radical restructuring of the bank, including the removal of Eric Daniels as CEO, and the appointment of former Santander UK boss, António Horta-Osório, as chief executive in March 2011. Bischoff’s timing means he is likely to leave before the sale of the government's 39% stake. The Treasury is widely expected to start the privatisation of Lloyds and the Royal Bank of Scotland, the other bank bailed out in the 2008 crisis, before the 2015 general election. Bischoff’s announcement also comes ahead of Thursday’s AGM. City veteran Bischoff spent his career at Schroders before its investment banking arm was acquired by Citigroup in 2000. He became chairman of Citi until stepping down in 2009 and joined Lloyds shortly afterwards. Bischoff said he has accomplished the task of stabilising Lloyds, putting its recovery well on track.